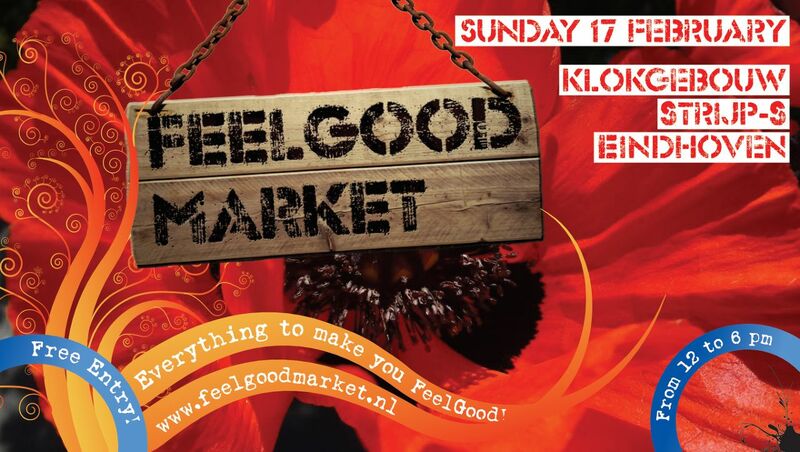 On February 17th, the FeelGood Market will take place inside Klokgebouw in Strijp-S. We’ll be warm & dry with lots of beautiful and durable ideas, delicious snacks, drinks and great live music! So if you feel like getting out for some inspiration, nice people, tasty snacks and good live music, then come along and feel the vibes! And of course there is plenty for children to do too! Chiropractor advice, Nutritional advice, Coaching, Tai Chi, Tastings, Demonstrations, Face painting by Flow Free, Free children’s craft workshops, Building with Bamboo, Guitar lessons, Bouncy Castle, Henna tattoos and more! 'These People' A songwriter duo from Eindhoven / Nijmegen. They write songs that tell stories, with guitar, violin and various other instruments (including piano & percussion). 'Brabo Mundo' A sunny, acoustic mix of world music, folk and pop ... in the Brabantse dialect! 'Yours' Richard Joris and Ray ter Riet, known from the band Carve, decided in 2015 to expand their musical collaboration as the acoustic duo YourS, playing own numbers and covers. The self-written songs are a mix of soul, funk, blues and rock.